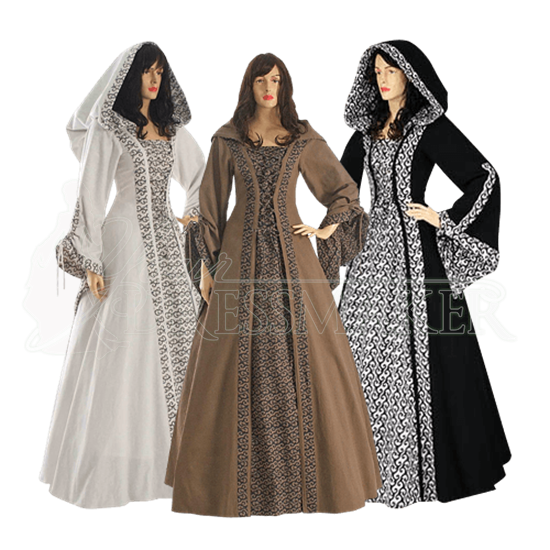 The Custom Medieval Maiden Dress is made from a 100 percent cotton. The design features a solid color on the outside and a swirl pattern on the front. The same swirl pattern is used as an accent trim along the sleeves, the hood, and on either side of the front panel. 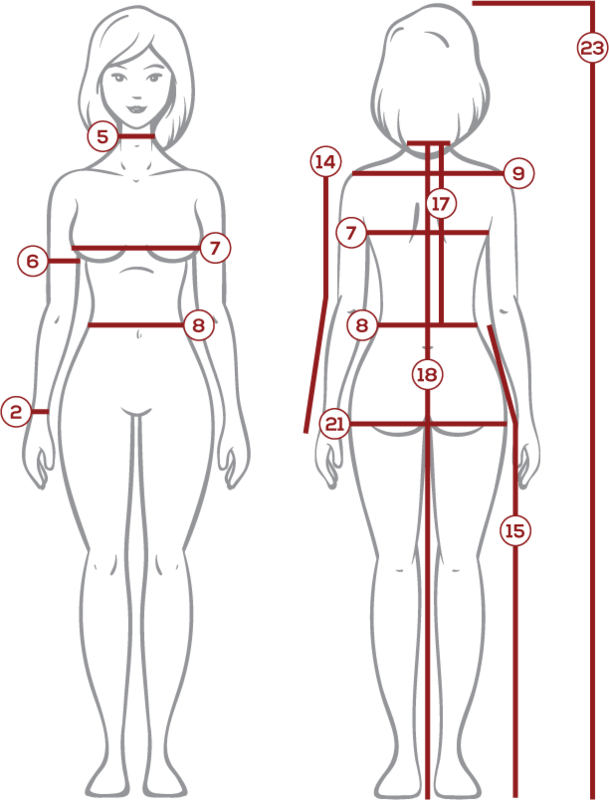 The Medieval Maiden Dress is a one piece dress that closes with laces in the front and back of the dress letting you adjust it to perfectly fit your shape. This custom version is available with more color options than the standard version, and you can choose to have it made with or without a hood. 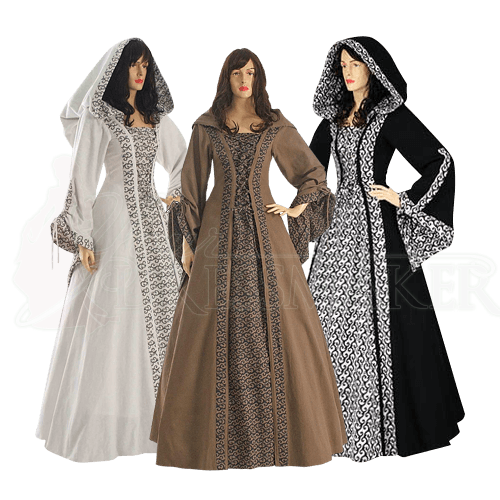 The Custom Medieval Maiden Dress is great for Medieval Weddings, Renaissance Fairs and Medieval re-enactments. Wash with a gentle machine action using a 1/2 load with a short spin using cold water. Maximum water temperature 85°F/30°C. It is important to wash with cold water so there is no chance of the colors bleeding. Handwash if you are uncertain of your wash machines cold water temperature setting. Hang to dry.